Alex is the President and CEO of the Isaiah 40 Foundation. An Anglican priest since 1991, he had served in a number of different congregations and has also planted a church in Burlington, Vermont. He has worked as a pastoral counsellor with Isaiah 40 for nearly 20 years. With ten years of business experience in software development and medical informatics, he brings a unique set of gifts and experiences to bring to bear in the raising up of leaders for the mission of the Gospel. Tamara is a spiritual director and ceramic artist. Together they have been involved in the healing ministry for over twenty years. They have four grown children and two grandchildren. They are now moving to Chicago to work in close partnership with the Greenhouse Movement in raising up the next generation of leaders for the church and equipping congregations to minister the healing love and power of Jesus to the wounded and traumatized. 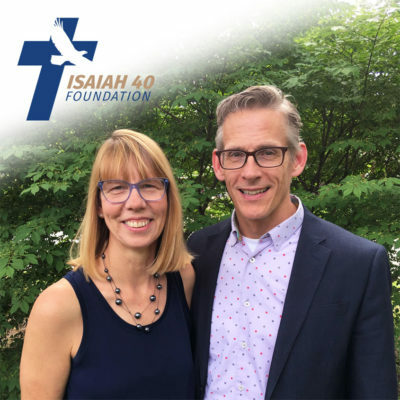 Alex and Tamara Cameron are Greenhouse missionaries in partnership with the Isaiah 40 Foundation. Gifts are received securely by the Greenhouse Movement.